Ms. Chen is a trusted corporate lawyer with over ten years of experience representing large corporations and investment funds in all forms of M&A transactions, including merger, stock sale/purchase, asset sale/purchase, joint ventures, minority investments, reorganization and venture financing transactions. So far she spent most of her career in the New York office of Fried, Frank, Harris, Shriver & Jacobson, where she developed solid expertise in handling transactions involving US-based businesses and assets in a wide variety of industries. She also advised major investment banks on Wall Street as financial advisors in prominent M&A transactions and is well versed in deal-making strategies and valuation matters. Clients she used to routinely work with include Merck & Co, Centerbridge Partners, Humana Inc., Goldman Sachs & Co, Deutsche Bank Securities and Lazard Frères & Co, etc. Ms. Chen relocated to Asia in 2013 and has since served as lead transaction counsel or financial advisor counsel in some of the most complex transactions in the region, including multiple going private transactions and minority investments completed by FountainVest Partners, the going private transactions of AsiaInfo-Linkage and iSoftStone, and the acquisition of AutoNavi by Alibaba. In addition, she played an instrumental role in assisting China Life in connection with its US real estate investments, working with Fried Frank’s real estate department in New York. After joining MagStone, Ms. Chen continues to be a sought-after advisor for Asia-based clients with respect to their offshore structural and investment needs for her sophisticated legal skills, extensive knowledge of US law and deep understanding of the deal environment and business customs of East and West alike. Ms. Chen received her LL.B. from Fudan University in 2002 and LL.M. from Columbia Law School in 2005. 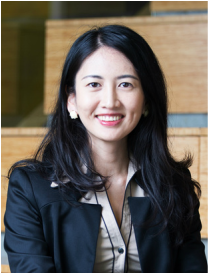 She speaks English, Mandarin and Shanghainese, and serves as MagStone’s primary contact person in the Greater China region. Ms. Chen is admitted to practice in New York State.